According to The Hollywood Reporter, Screen Gems is developing a new horror film with Evil Dead creator Sam Raimi and Robert Tapert producing through their Ghost House Pictures (Drag Me to Hell) banner. Set to be written by Hell Fest and Polaroid writer Blair Butler, the untitled project is being described as a supernatural thriller that will follow the story of a young woman who is invited to a lavish destination wedding, unaware of the horrors that await. Further details about the film is still being kept under wraps. The film will also be produced by The Curse of La Llorona producer Emile Gladstone. Raimi broke out on the horror scene for directing and writing the cult horror film franchise Evil Dead includingThe Evil Dead (1981), Evil Dead II (1987) and Army of Darkness (1992). He has also produced numerous horror films such as: The Grudge films; Stephen Kay’s Boogeyman starring Emily Deschanel and Barry Watson; the comic book film adaptation 30 Days of Night which was led by Josh Hartnett; Kristen Stewart’s The Messengers; The Possession starring Jeffrey Dean Morgan and Kyra Sedgwick; and the 2015 Poltergeist remake. 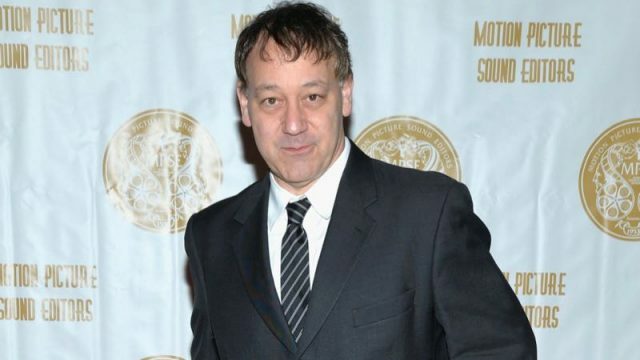 The post Sam Raimi to Produce Destination Wedding Horror Pic for Screen Gems appeared first on ComingSoon.net.